Maria Panina worked for the Russian development bank (Vnesheconombank) as the Deputy Director of the PPP Center and the Deputy Director of Federal Center for Project Finance for ten years. While working at Vnesheconombank, Maria provided the Government of the Russian Federation with investment advisory services (fairness opinions on infrastructure projects applying for funding from the Investment Fund of the Russian Federation (today’s Fund for Development). On behalf of various federal and regional public authorities she managed preparation of high-class transport infrastructure projects and carried out their investment analysis and assisted in financial close including 7 federal and regional toll road and airport concessions. Maria Panina graduated from the Financial Management Department of the Government of the Russian Federation’s Financial University with Master’s degree in Banking and Finance. She completed the PPP project development program at Partnerships UK in 2010 and the Infrastructure in a Market Economy executive program at Harvard University’s J.F. Kennedy School of Government in 2013. Ms Panina is a member of Russian Ministry of Transport’s advisory board. Olesya Gladkova worked at the Russian development bank (Vnesheconombank), including Vnesheconombank’s PPP Center and Federal Project Finance Center for seven years. feasibility evaluation and transfer of the ownership of Irkutsk airport to the regional level on concession basis. 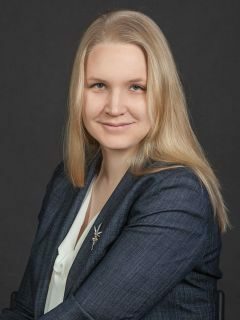 Olesya graduated from the Financial Management Department of the Government of the Russian Federation’s Financial University with Master’s degree in Banking and Finance. She also completed the Infrastructure in a Market Economy executive program at Harvard University’s J.F. Kennedy School of Government.